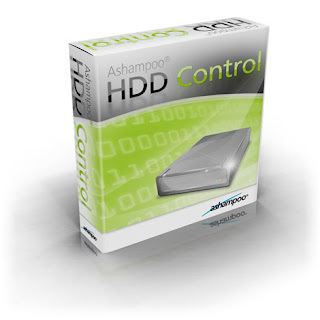 The Ashampoo HDD Control software performs hard disk maintenance for you. This involves taking measures to prevent potential failures and crashes before they occur. Towards this end, the program combines several functions available for the first time in this particular configuration. The software supports all commonly available IDE and serial ATA drives. Based on the type of drive in use, Ashampoo HDD Control provides the user with all important facts and information, including the drive serial number, firmware version, cache size, number of configured partitions, drive space and current temperature. As the number of signs indicating that the drive could soon potentially fail begins to mount, the background guard signals an alarm. If you are not near your computer, the program can be set up to notify you of the alert by email. In the final report, the program also provides information on the health and performance of the hard drive shown in percentages. Over time, an ever-growing number of unwanted and unneeded files accumulate on your hard drive and Ashampoo HDD Control is a useful tool to help you locate and delete these files. If not enough space is available to store the complete file in this space, it is broken up into fragments. Windows in turn saves these at different locations on the hard drive in order to make best use of the available gaps. For this reason, it is easy to understand why the computer takes longer to read the file, since it first of all needs to locate and assemble all the separate fragments. شاهد عقوبه أب لابنه ستجعلك تتفاجأ منها..
إشترك معنا لتحصل على جميع الأخبار و التدوينات الحصرية من خلال بريدك الإلكتروني.